I love a good excuse to throw a party. Whether it’s a few close friends or my whole family, having people over to enjoy delicious food and drinks while celebrating is always fun. It’s football season and we are getting ready to host a little get-together. 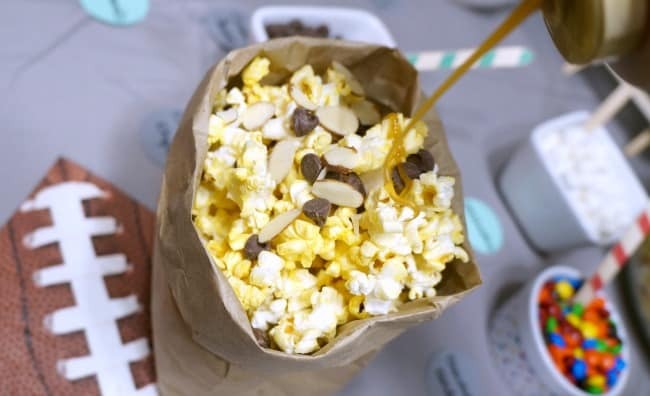 Instead of a full blown buffet, this year I opted for a football themed popcorn bar so my guests can create their own snack while enjoying the game. 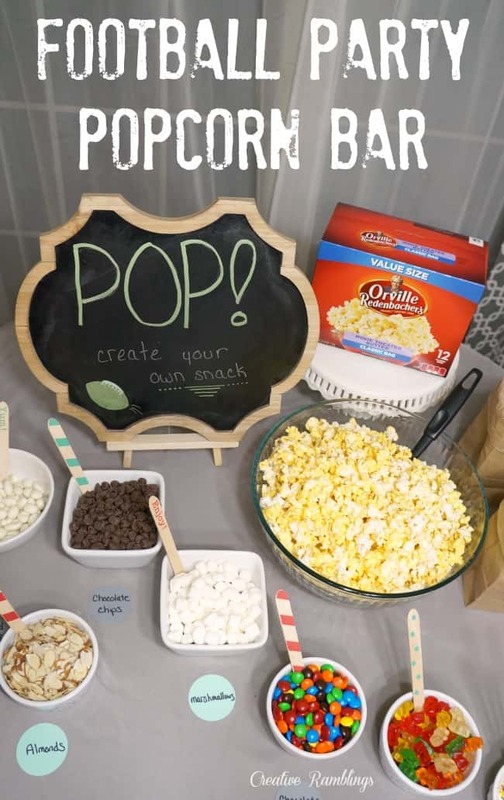 Learn how you can easily put this popcorn bar together, get some recipe inspiration, and wow your guests this season. Popcorn is a staple in my household, it is a must for all movies and sporting events. So why not take our love of popcorn and share it with friends and family while we enjoy the game. 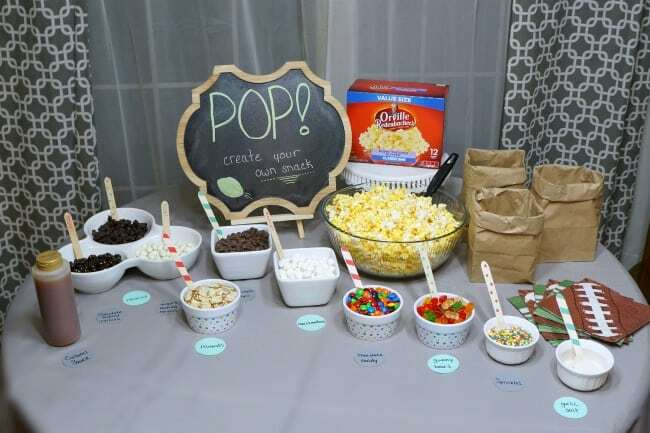 It’s easy to put together a popcorn bar that will impress guests and satisfy everyone’s taste buds. 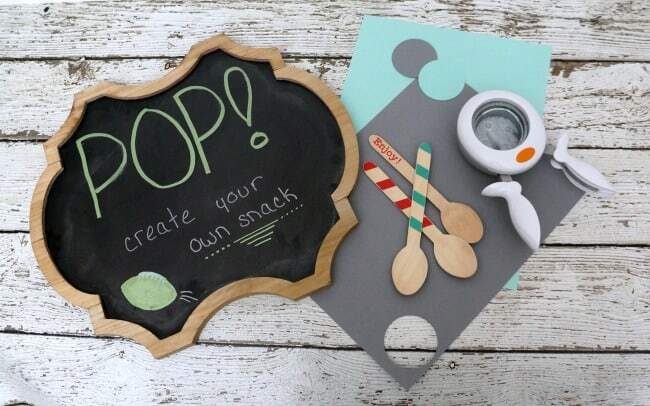 I started with a few props, a simple chalkboard, some cardstock circles, and pretty spoons I picked up at a craft store a while back. I grabbed a number of bowls and dishes from my kitchen and made list of all the possible toppings and mix-ins my guests might enjoy with popcorn. I popped a couple bags of Orville Redenbacher® Movie Theater Butter popcorn and served it in a big bowl. I went for a delicious, quality popcorn that I know my guests will enjoy. Then I laid out dishes of mix-ins and toppings. 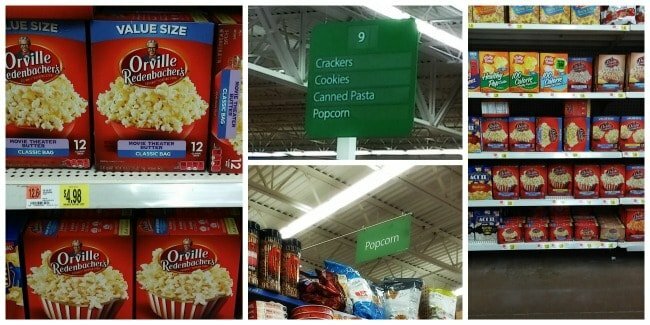 I picked up the Orville Redenbacher popcorn and all the toppings at Walmart, a one stop easy shop to create this party spread. I used punched cardstock circles to label each mix-in and set out brown paper bags for guests to fill. This way guests can grab their snack and get back to watching the game. 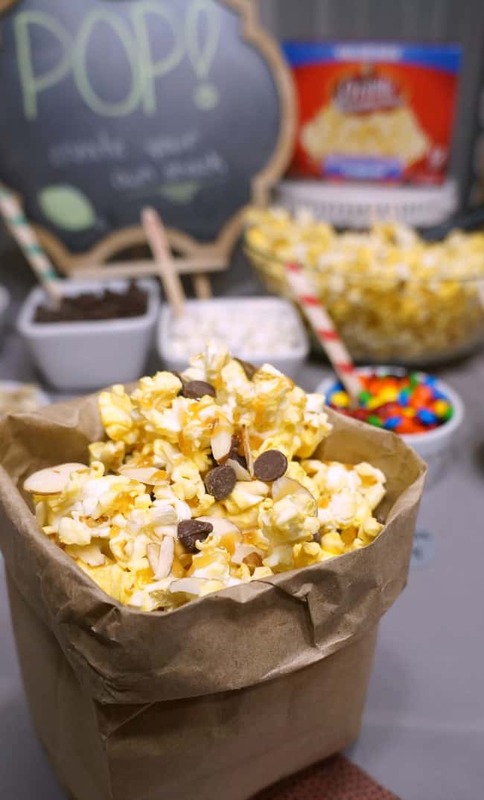 Popcorn creations are a crowd pleaser and everyone is sure to find some combination they enjoy. 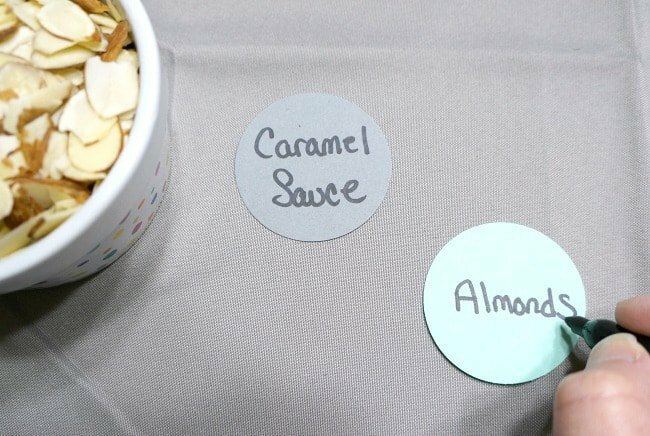 To get my guests started I showcased my favorite popcorn recipe, a sweet and indulgent treat. Fill a paper bag, or bowl, half way with popcorn then add chocolate chips and almonds to suite your taste. Fill the bag or bowl to the top and add more choclate chips and almonds. Top with carmel sauce and shake the bag or stir the ingredients in the bowl to evenly distribute. 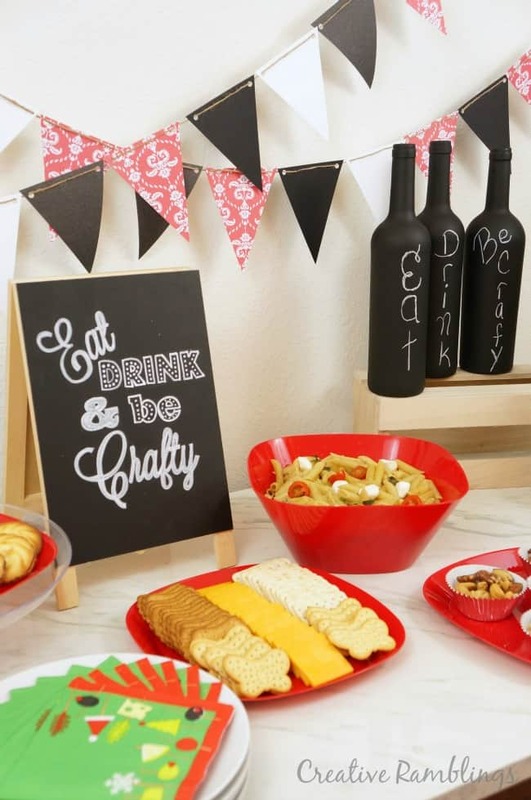 Guests will have a blast creating their own snack. 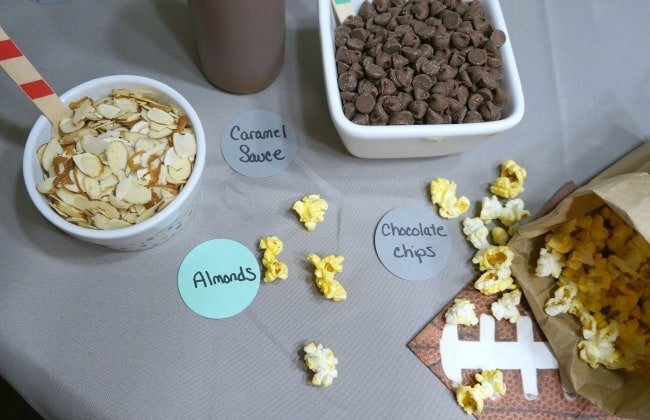 An interactive popcorn bar just adds to the fun of a football party. Guests can head back to the bar for a refill anytime to create new unique snacks. 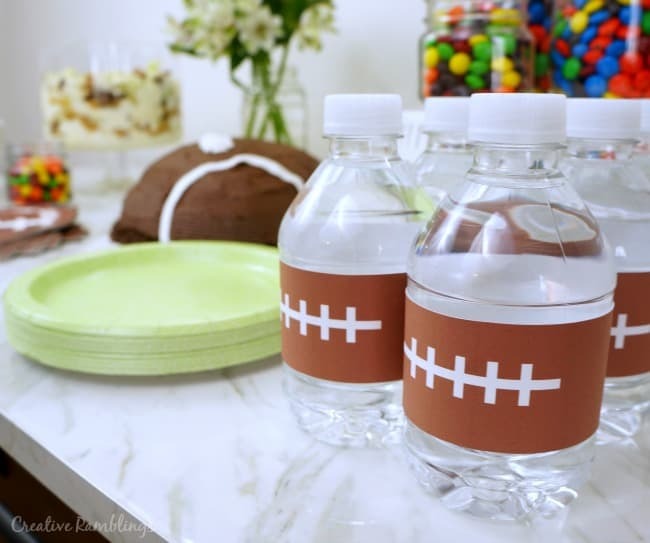 Enjoy the rest of the football season and check out more game day party inspiration here. Tell me, what will you be mixing into your popcorn? What a great idea Sarah! And while surely fun for the Super Bowl, it’s a great idea for any get together. 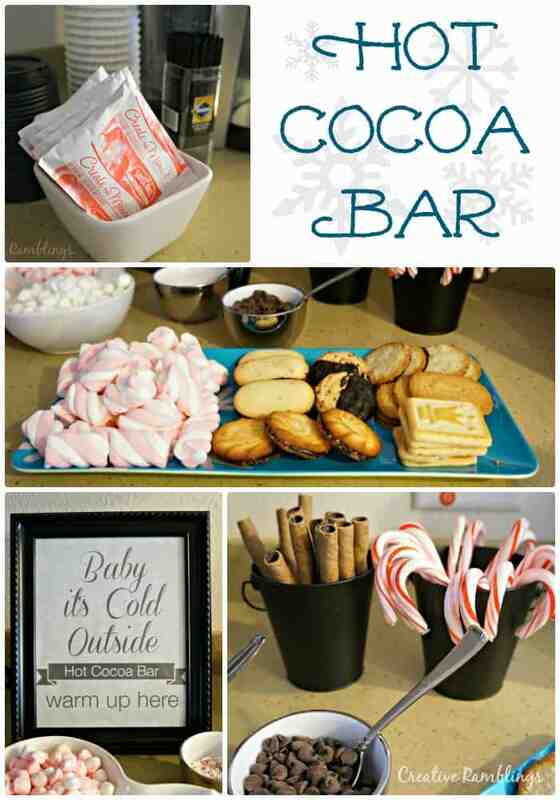 I’m going to file this one away for future parties…especially perfect for the teen crowd.